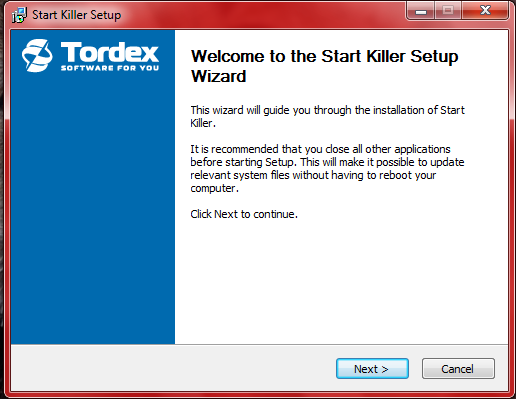 Hide Start button in windows 7 and vista. Windows 8 and 8.1 are the most recent operating system of Microsoft. It comes with some great features pre installed that was totally new in windows 8. One of this feature is the start menu of windows 8. It does not contain start button which is a main part of almost all microsoft's OS. You just have to get the mouse in corner and click there is no start button. It is a so nice feature to save space in taskbar. This is so important for those people who have a small screen. SO do you also want to remove start button. 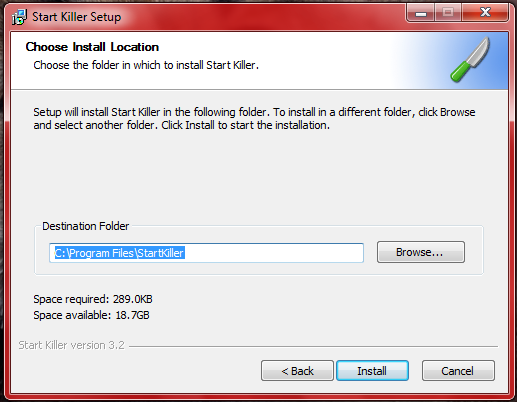 If you want more space on your taskbar and want to remove Start button so now you can do that with this small software named Start Killer.After removing Start button your PC will look as same as windows 8. 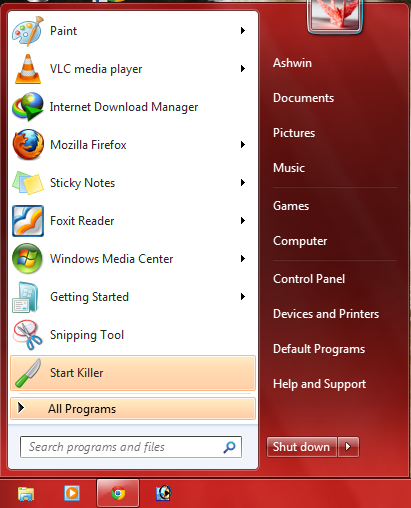 Many PC users access access windows start menu from the keyboard it is easy and simple to. This is so small software and size is only 197KB only. Accessing Start Menu without Start button.Just click on "WINDOWS" key on your keyboard. 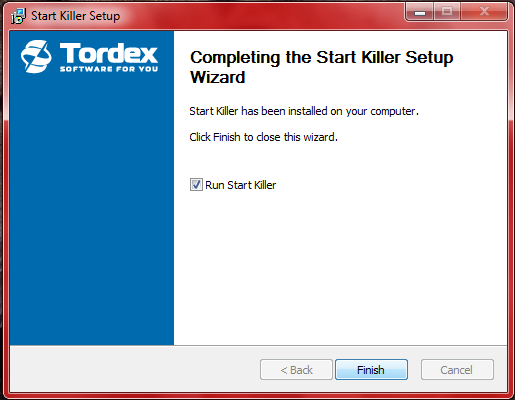 Now install software.First click on Next button. Now last click on Finish button. Now your start button will be hidden.To access Start menu just hit windows key n your keyboard. This is a very nice post-thanks for sharing. I'm now following you and this site with lots of great information. VERY nice and informative blog , with help full posts keep up the good work.